AdonisJs can help with these challenges. 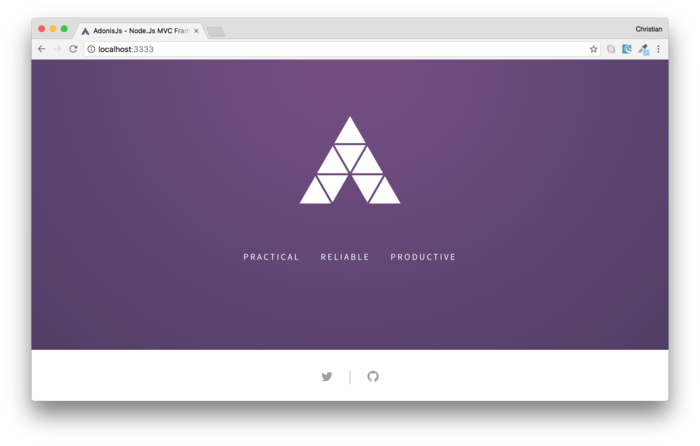 AdonisJs is an MVC framework for Node that is modeled after the popular PHP’s Laravel framework with a few concepts from Rails as well. Now, let’s look at how you can use Adonis to create a simple content management system (CMS) performing CRUD (create, read, update and delete) operations. Before we write example code, we need to get Adonis on our machines and review a typical Adonis application files structure. Node v4.0.0 and npm are the only requirements for installing Adonis to your computer. 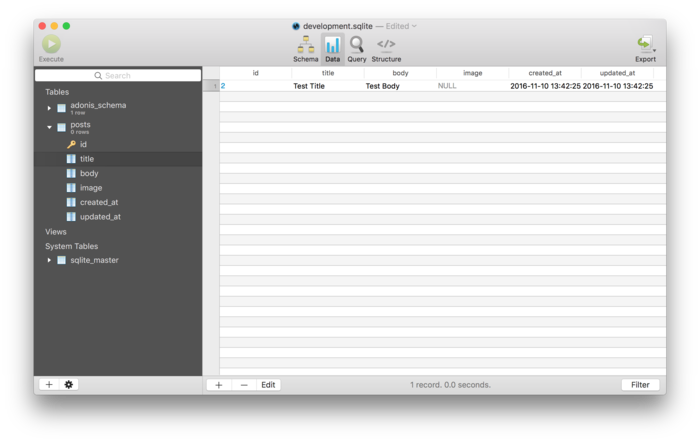 The new command creates a new Adonis project with all the necessary files and content to get us started. It also installs the npm dependencies into the node_modules folder, so there is no need to run npm install. The Sqlite database is a good choice for development purposes and very small scale applications. We can make use of it by installing via npm and telling Adonis to use it as our default database via the database config. Migration is not a core MVC architecture concept, but it makes it easy to share schemas in a declarative manner. Rather than defining the schema in our databases directly, we define them in a file. This file can then be shared among team members. The command will create a migration class file named [TIMESTAMP]_posts.js in database/migrations. The class has an up and down method. up is called when we run migrations to create the database table, while down is called when we want to tear down the table. We are calling the string method on the table, which was passed in to the create closure. This method will create a column of string type (or varchar, as the case may be) and the column will be named after whatever value was passed in. Note: Convention over configuration is a software engineering paradigm in which developers are not required to make too many decisions. Each Model needs to be mapped to a migration. Adonis uses this paradigm, so rather than defining it manually, it helps you make the decision. A Post will map to a posts migration, which is a plural lowercase. We are never compelled to define a config of what model maps to what migration. Lucid is the library that Adonis uses to manage Models. The above Post model might seem empty. However, because it will eventually be mapped to our posts migration, we still gain access to the table’s columns. We will discuss this later in the article. Now that Migrations and Models have been taken care of, we have a store. Henceforth, we will be playing with HTTP requests and responses using routes, controllers and views. We first import the Post Model to our controller. This is because, the create action method will make use of this Model to create and store new posts. The first controller action – new – sends a Nunjucks view that contains a template for the post form. The syntax is known as Nunjucks with an.njk extension and that is what Adonis uses for templates. The second controller action – create – receives data from the browser through the form and stores it using the Post Model. The * ... yield syntax is an EcmaScript upcoming feature called Generators. They are a different kind of function and Adonis uses it to simplify a lot of async tasks. Here we introduced Adonis and some of its basic concepts. In the second part of this article, we’ll share how easy it is to handle image uploads when creating a new post, how to read/update existing posts and display them, and how to delete posts from the store.